Our documentary feature film Villisca: Living with a Mystery as been nominated for an inaugural Capote Award from In Cold Blog in the Best True Crime Documentary category. "Thanks for making such a fantastic documentary," said Corey Mitchell of In Cold Blog. "Everyone should make it their New Year's resolution to find this film and watch it in 2008." Villisca tells the epic true story of the 1912 Iowa Children's Day murders. Following just two months after the sinking of the Titanic, America's greatest unsolved mystery built and ruined political careers, created a lasting community split, and produced dozens of litigations and three sensational trials. The documentary also explores the possibility that the Villisca crime may have been connected to similar axe murders in Illinois, Colorado, and Kansas. Was it the work of one of America's first serial killers? Former F.B.I. profiler Robert K. Ressler helps unravel this compelling unsolved mystery. True crime bloggers have been kind to Villisca. Laura James of Clews: The Historic True Crime Blog called Villisca "...absorbing..." and said it is, "The best movie ever made in the true crime genre." "I can't give a stronger recommendation to a true crime documentary than the one I give Villisca: Living with a Mystery," said Steve Huff of True Crime Magazine (fomerly CrimeBlog.US) "Held together by the sure-footed storytelling on the parts of Kelly and Tammy Rundle as well as the affable and informed voice of historian Dr. Edgar Epperly, this movie sets a high bar for full-length documentary treatments of crime stories." The Capote Awards are named for writer Truman Capote. Capote is best known for In Cold Blood, his true crime book about the 1959 Holcomb, Kansas murders. 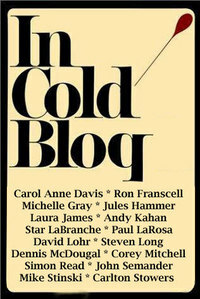 Winners of the inaugural Capote Awards will be determined by the readers of In Cold Blog. Happy New Year from Fourth Wall Films!